Celine and I were invited by Michelle Orosa-Ople of TV5 for an interview last November 10, 2012. Michelle is one of the hosts of the radio program Oplan Asenso (airing every Saturday from 12:00 NN to 2:00 PM) on Radyo5 92.3 News FM. Their topic that day was salaries and deductions. 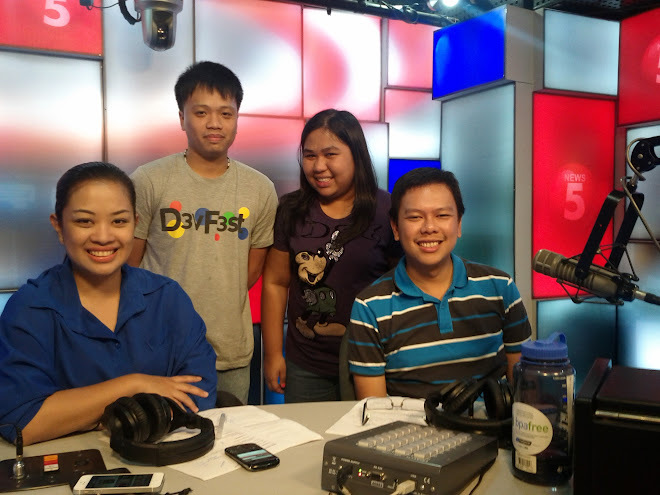 We talked about our Android app Sweldong Pinoy. After the radio program, Michelle also interviewed us for TV5 news. This was aired on TV5's Pilipinas News and Aksyon TV's Andar ng mga Balita last November 14, 2012.